As it is Youth Month in South Africa to coincide with Youth Day on the 16th June, and with the latest figures released by Statistics South Africa last week showing that not only has unemployment in South Africa risen to 27.7%, but also the rate of youth unemployment has risen to 38.6%, we chose to cover this major issue this week in #JobAdviceSA. 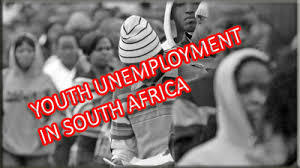 With more than two thirds of young people aged between 15 and 34 being unemployed it is very important for educators, employers, government departments and also workers to seek to address this problem which could have severe implications for the South African economy and the welfare of it’s citizens. The questions that we will be answering will seek to help young, unemployed South Africans learn how they can get training and assistance, as well as to acquire skills and experience, and in doing so find jobs. To take part in the discussion you can either follow the hashtag #JobAdviceSA or @JobAdviceSA and tweet your answers using A1, A2, etc., or any other questions you may have, using the hashtag. Q1. How can school leavers gain the skills and experience they need to help them find work? Q2. 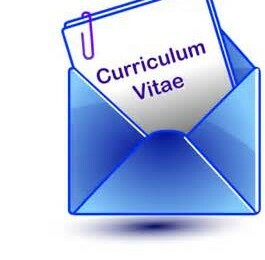 What must varsity students be doing to ensure that they get a job when they graduate? Q3. Where can unemployed youth get training and assistance to help them find work? Q4. What can employers, the government and other organisations do to address youth unemployment? Myself, Tim Barry (@TimJBarry), Vanessa Raath (@Van_Raath) and Wesley Madziva (@WeszMadz) look forward to discussing this burning issue with you, and hopefully coming up with some answers to address this huge problem. How do i make my resume catch the employers eye? The only way to address the issue of unemployment of youth is very much simple . 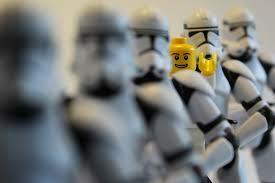 The government need to review the policy on recruitment . Government need to change the number of years on entry level position taking into consideration not to compromise the quality of work. Entry position should be introduce to cater the youth after internship programme because currently youth find themselves in a disadvantage position after completion of internship . Again think the internship thing is not working clearly statistic so, million of young graduate go home after completion of internship why should government not introduce a contract position for youth instead of useless internship. There is no concise communication and consultation between government , private sector and institutions of higher learning. currently want to embark doing a research on this particular topic. will gladly want to be involve on the review of policies within the recruitment structure. Hi Sbusiso, that’s a very insightful and thought-provoking answer. Let’s hope that the government’s YES initiative will offer more than just internships that do not result in permanent work and that Mr Ramaphosa’s proposed Jobs Summit will seek to encourage productive dialogue between government, the private sector and tertiary education institutions with a view to getting more young people into paid work.